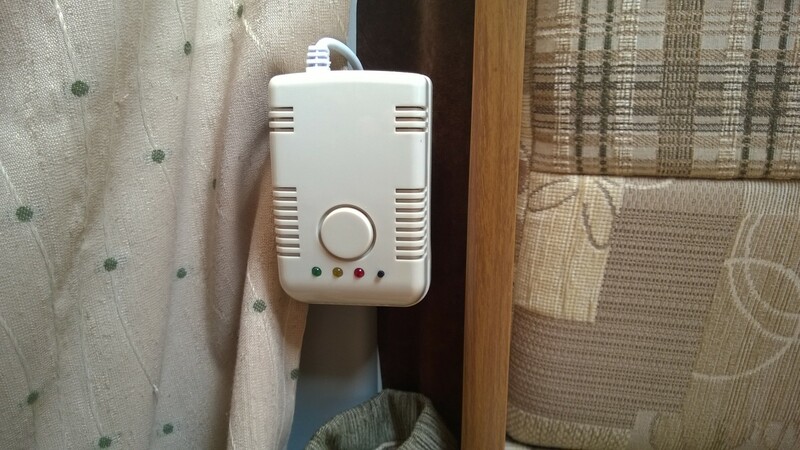 Bought several years ago when there seemed a lot of press about motorhomers in Europe being gassed whist they sleep then being burgled. It would appear that these incidents only occurred on remote motorway service areas – never on a campsite – which is what we always use. Anyway I’ve fixed it up in a corner at head height (asleep) “just in case”! It can be switched on if we feel we need it – as it will detect most common toxic type gases – for peace of mind.